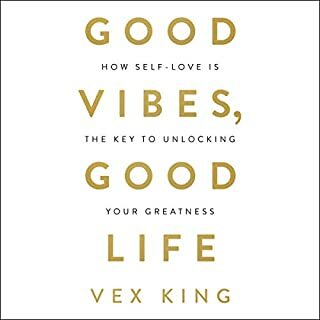 Vex King is leading a revolution for the next generation of spiritual seekers. Despite an incredibly challenging childhood, Vex went on to have a successful career and became a role model for young people. Good Vibes, Good Life shares deep spiritual knowledge in a way that's easy to understand, while providing practical solutions. 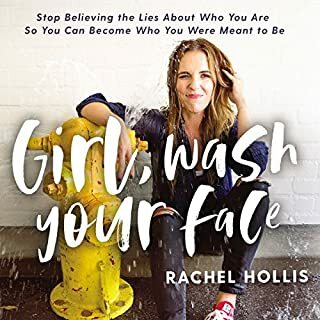 Down-to-earth and relatable, this audiobook is for those seeking a way out of darkness and the tools to build a new life. "Comparison is the thief of joy..."
A word-of-mouth phenomenon that's changing lives around the world - a journey into your true self and amazing potential. Do you want to change your life? Well, who says you can't? A moment came in Daniel Chidiac's life when he realized he wasn't living his truth. His work didn't fulfill him, his relationships hurt him, and he was making choices that didn't align with his true values. But he did have the ability to know his own purpose - a gift we all have - and thus his journey began. Daniel studied the lives of great achievers, sought guidance from spiritual leaders, and discovered the secrets for shaping one's own destiny. He used his personal experience of changing his life to create this powerful seven-step guide to discovering your true self, committing to your own life, and pushing beyond your known limits. 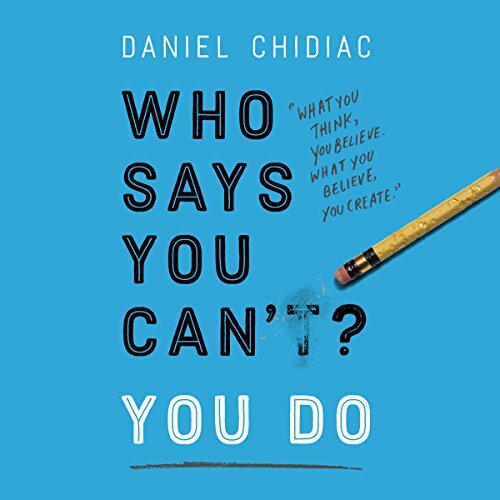 Standing out for his incisive wisdom and complete lack of gimmicks, Daniel Chidiac is an inspiring, insightful, and honest guide. His empowering system has spread organically, and it has already changed the lives of legions of readers and listeners. 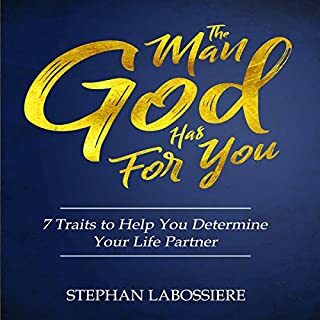 With practical exercises and interactive tools, this book challenges you to ask hard questions and make life-changing decisions - and ultimately guides you to the fulfillment you have been seeking. Get ready to be intrigued, fascinated, and amazed. Not by this book but by your own power. I will definitely read this book over and over. 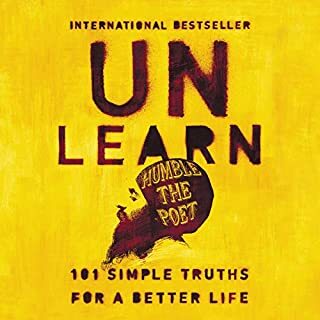 This book has so many great lessons. It made me realize that happiness to life is within and not by material or external things. It teaches me to appreciate the time I have on earth. There was so many more lessons hence me reading it over and over again! I would recommend this book to anyone who questions themselves or their situation in life. The author takes you through a journey of being kind to yourself through happiness and fulfillment. I look forward to reading this book again! Thank you Daniel, I look forward to sharing my story with you. Super inspiring. Everyone should read it. This book has seriously made me open my eyes on certain things that I was so blind to. Everyone needs to read a book like this to really understand that their life can change. I totally recommend this book, life changing. Love it !! Thanks Daniel... you changed my life. 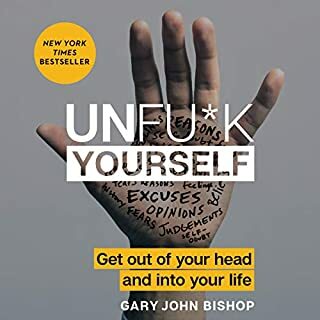 If you've read Mindset or The Subtle Art of Not Giving A F*ck, skip this one. This is a very, very basic book on how to change the way you think. After reading (or listening) to the two previously mentioned titles, I found it hard to listen to the Chidiac's anecdotal scenarios. While his personal experiences are interesting, it is still only one person's experience and does not necessarily apply to the majority. I would've liked to hear him back up his "lessons" with research or studies where the sample size is greater than 1. Overall, this is good for easy poolside reading/listening. If you are interested in a research backed, thought provoking, full of a-ha moments self-help book, look into the other 2 titles.